All my programs are available with binaries and sources and they can be spread under condition of GNU licence. The same applies for all used source libraries. 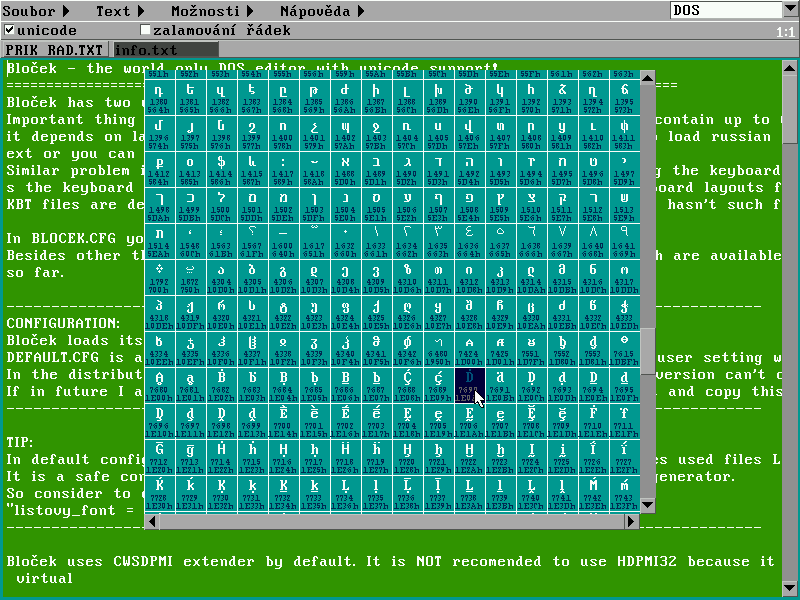 Bloček is text editor for DOS with unicode support. 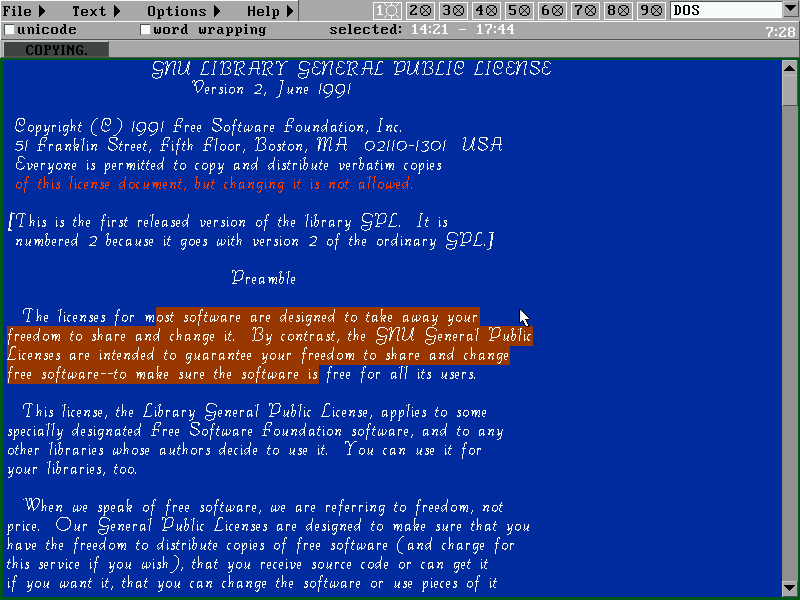 It means that unlike other DOS editors you are not limited to your current code page. It allows you to edit multilanguage documents, translate texts from one language to another, write modern web pages and so on. Bloček is written in programming language pascal and as a compiler uses Freepascal. Actually the version 3.0.2 but the compatibility with legacy version 1.0.10 is still kept. + block operations - you have not only one clipboard but NINE clipboards! * Now can work in banked modes too! 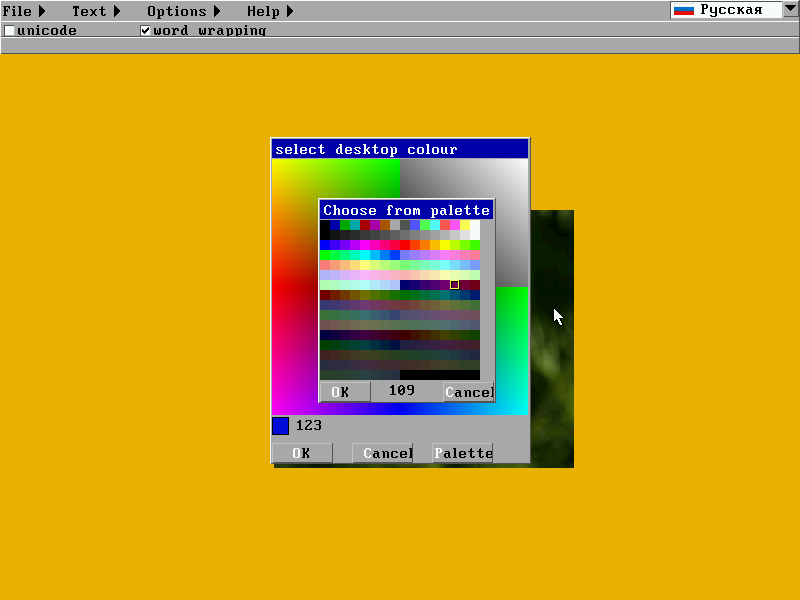 - Prior versions could with some screen drivers wrong download fonts from VRAM. - no new features, just made two changes in source to be compilable by new FPC versions - 2.4.0 and newer. + russian keyboard driver knows letters "yo" and "YO"
Kašmár is tool for developers. 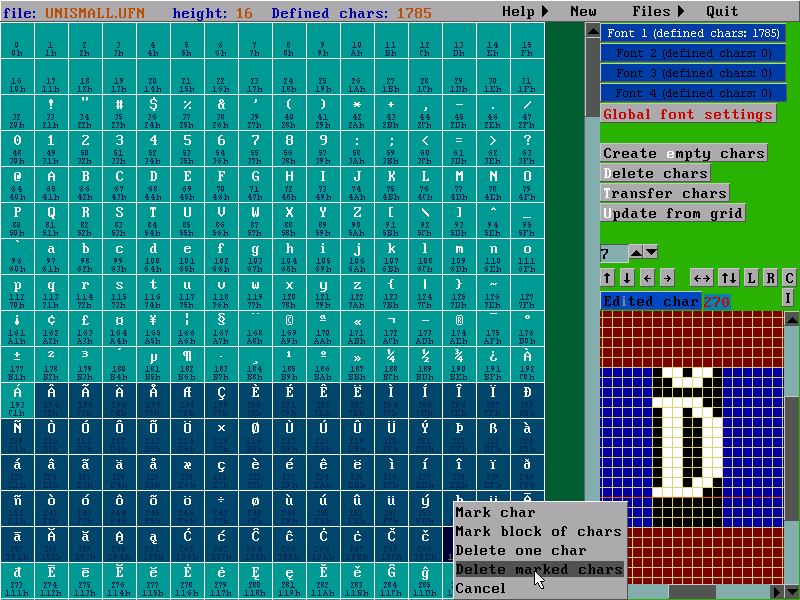 It is a unicode font editor which allows you to create or modify bitmap unicode fonts used in my programs and libraries. It has also functions for import and export from/to VGA font files (which are used by many legacy utilities) so it can be considered also as a VGA font editor. LiveCD - utility for proud owners of Soundblaster Live! This tool sets volume of CD output so you can listen CD's without soundblaster compatibility drivers loaded. You can download even other my programs and units on my czech site. You can browse it in "english" via google translator. Link to google translated version of my czech site is here.